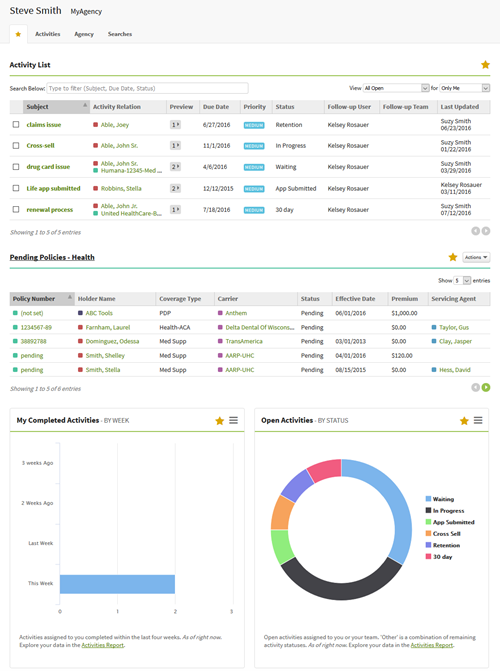 AgencyBloc's Dashboard provides a bird's eye of your agency by organizing Activities and visualizing your data into useful graphs. 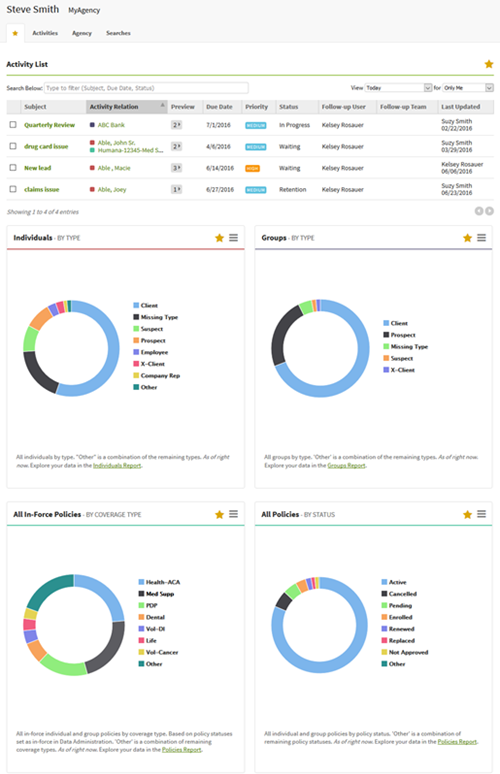 As the Dashboard is a look into your entire agency, we give you control to who has access to see it. Everyone manages their agency and client information differently. 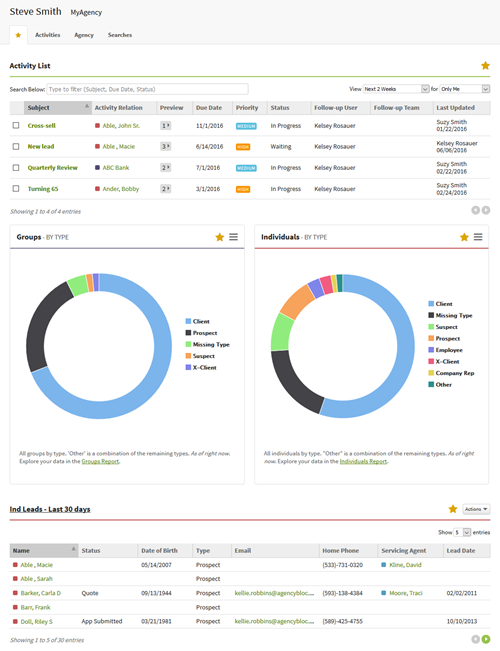 With a personal dashboard, you are able to see what you want and information you need in one place in a quick fashion. AgencyBloc gives you the ability to build your own personal dashboard to quickly see important information about your agency and clients. Using Favorites, you can ‘star’ dashboard graphs and saved searches to bring them to one single location, then drag and drop to order and reorder your Favorites to see the information the way you want to see it. With personal dashboards, you can create a setup to meet your needs based on your agency role or focus. 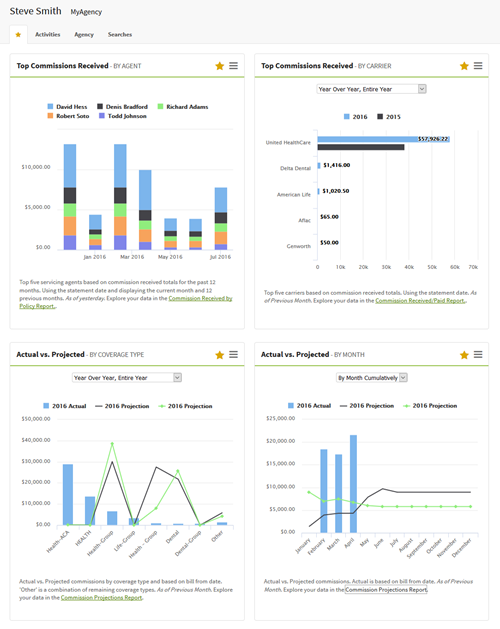 Below are a few personal dashboards we came up with based a particular focus to help get you started. For when you want an overview of your agency at a glance, add the following items to your favorites dashboard. Bringing in leads and closing sales is disciplined art. If you have a focus on generating leads and sales, set up your favorites dashboard with the following items to help your process. Supporting & servicing clients after the sale helps maintain and build strong customer relationships. If you have a service & support focus, consider using the following items on your favorites dashboard to help serve your clients.